Sometimes, mostly always, simple is better. There are so many complicated cooking techniques that it’s easy to get lost in the “I can’t cook” mentality. I came home from the farmers’ market and found that I had squished one of the beautiful apricots I bought (stone fruit, in early June! Oh my!) and set it aside to snack on later. As I put more stuff away, it dawned on my how perfect that apricot was for a topping. Nearing too ripe, juicy, and extremely sweet. No cooking or extra sugar needed. Of course it needed something to top: insert pancakes, barley pancakes to be exact. I’ve been playing with more flours recently and I’ve fallen in love with barley. 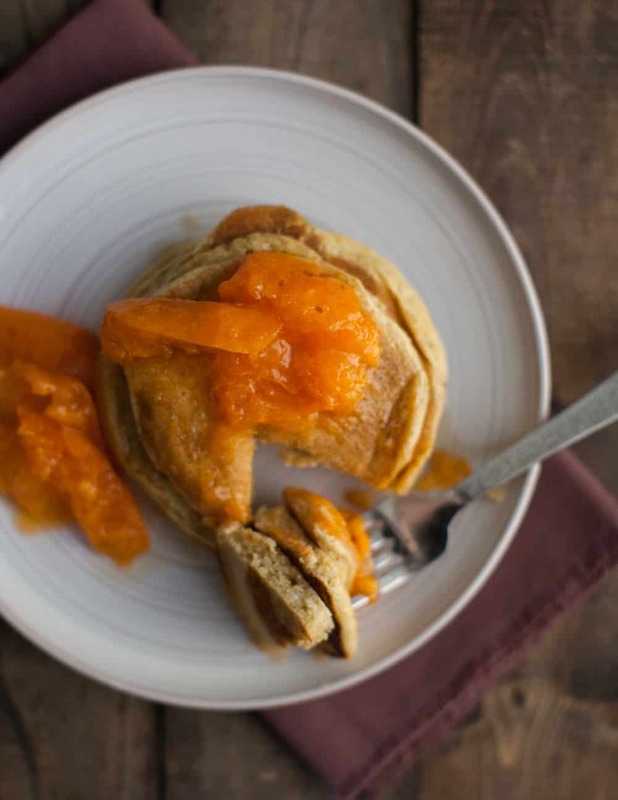 It’s got a slightly subtle sweetness to it that gives a little extra to already sweet dishes. 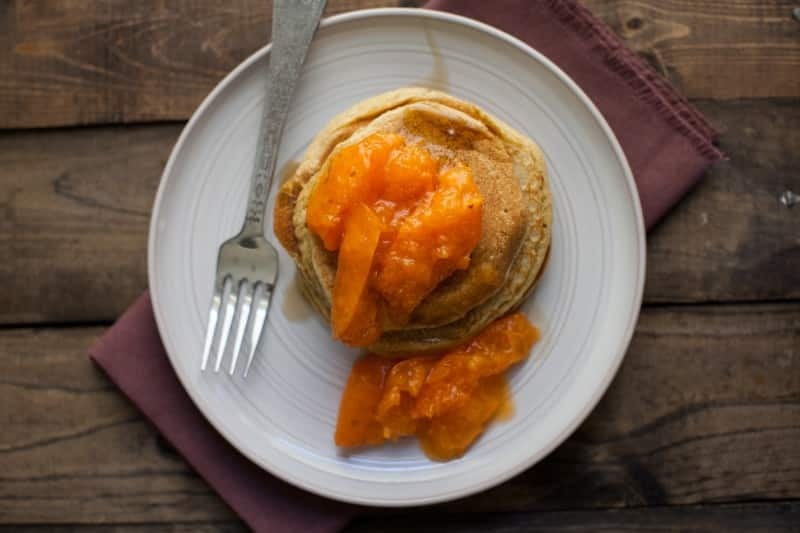 In the case of pancakes, the sweetness in the batter pairs perfectly with fruit and a lightly drizzle of maple syrup. It’s the perfect weekend (or really any day) breakfast. Combine flour, baking powder, and salt in a bowl. Give a good stir to combine. In a separate bowl, whisk together egg, maple syrup, oil, and milk. Stir in to dry ingredients, just until combined. Let batter sit while skillet heats. (If batter thickens too much to pour, add 1-2 tablespoons of milk to thin it down). Heat a skillet over medium heat. When skillet is hot (if you flick water onto the skillet, it should sizzle), take a scant ¼ cup of batter and pour onto skillet. Let cook for 1-2 minutes (until the pancakes begins to bubble slightly. Flip and let cook for another 1-2 minutes until pancake is cooked through. These look perfect!! So yummy! 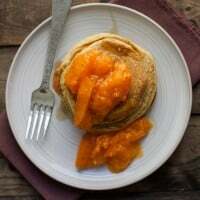 Apricots are one of my absolute favorite fruits, and last year I was so excited to find one vendor at our Virginia farmers market that had apricots for about three Saturdays in a row. I devoured several daily, and can’t wait to see the stone fruits on his table again this year (another week or two, he said!). I’ve never used barley flour but I’ll have to pick some up soon! 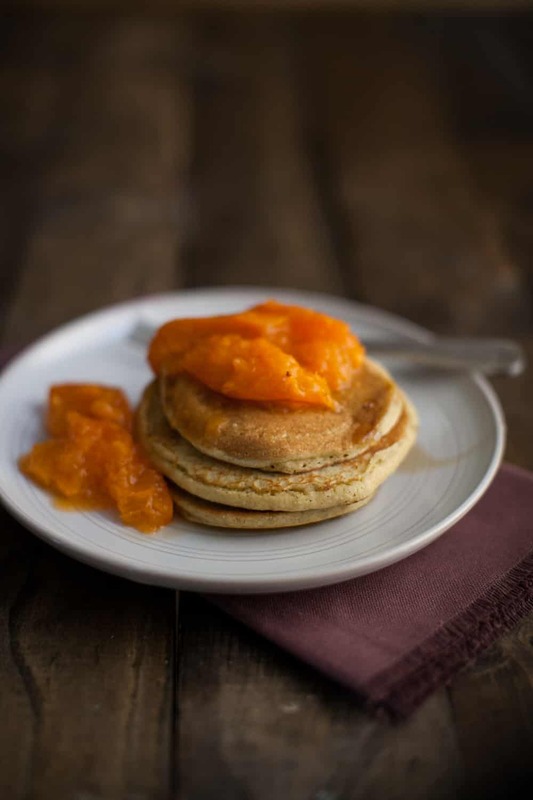 Love the idea of using barley flour in these pancakes; it sounds lovely with the apricots. These look awesome, but is 4 teaspoons of salt right? Far from it- I’ve updated it. Thanks! So lovely, Erin! What a sunny breakfast to wake up to. Barley flour sounds so nutty and wonderful, thought thats one GF flour I’ve never baked with. Ah I’ve never had to worry about gluten intolerance, so I often forget that barley and rye are in the same camp as wheat. These look mighty lovely Erin! 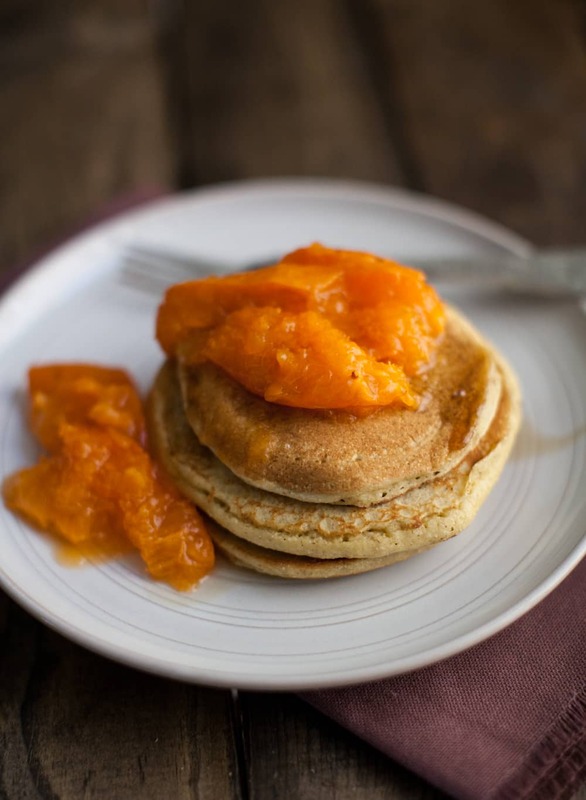 Especially with those apricots on top! I actually don’t know that I’ve ever done anything with barley flour before but you’re making me think I should pick up a bag! And a container of apricots, of course! These look like my dream breakfast! This sounds like an absolutely perfect combo. Although I might have to add some whipped cream. 🙂 Apricots are so lovely, I can’t wait until ours are in season in OR. Thanks for sharing! I knew I forgot something! I have a weakness for whipped cream and pancakes! These are by far my FAVOURITE pancakes!!! The only tweak I made (only ’cause the first time I made them I didn’t have any maple syrup) I added a table spoon of unsweetened apple sauce to the batter. I make them for my friends, my roommate, I share this recipe all the time. I find it hard to go a month without having these at least once or twice! One word.. DELICIOUS! Love the slight nuttiness of the barley flour. this is definitely the way I’m making my pancakes from now onwards!